'Jumanji' Teens Will Return for Upcoming Sequel! The four actors who played the teenage characters in the movie Jumanji: Welcome to the Jungle are returning for the upcoming sequel! 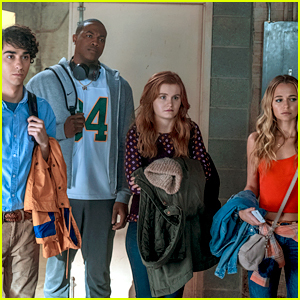 Alex Wolff, Ser’Darius Blain, Morgan Turner, and Madison Iseman will reprise their roles in the upcoming film. The four characters they played morphed into the video game characters played by Dwayne Johnson, Kevin Hart, Karen Gillan, and Jack Black. The plot of the sequel is being kept secret, but we do know that some exciting new additions to the cast include Awkwafina, Danny DeVito, and Danny Glover. The movie will be released on December 13, 2019. Kate Beckinsale, Charli XCX & More Help Flaunt Magazine Celebrate 20th Anniversary! Kate Beckinsale strikes a pose alongside Lance Bass while attending Flaunt’s 20th Anniversary Celebration hosted by Flaunt and Baccarat on Saturday (December 1) held at a private residence in the Hollywood Hills. 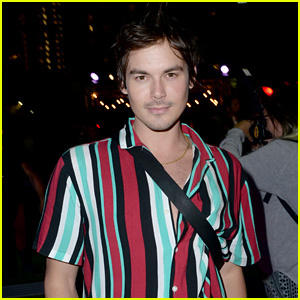 The 45-year-old actress and Lance, 39 were joined at the event by his husband Michael Turchin, as well as Charli XCX, Stephen Dorff, Emile Hersh, Owen Teague, Madison Iseman, David Lachapelle, Jack Huston, Lorraine Nicholson, Ella Mai, Dinah Jane, Poppy and Vic Mensa. Guests sipped Maestro Dobel tequila cocktails from exquisite Baccarat crystal and perused the lovely duds on display from Secteur 6, a new luxury fashion brand dedicated to social and environmental progress. Wendi McLendon-Covey & Ken Jeong Celebrate 'Goosebumps 2: Haunted Halloween' Premiere! Wendi McLendon-Covey flashes a smile alongside her co-star Ken Jeong while attending the special screening of their latest film Goosebumps 2: Haunted Halloween held at the Sony Pictures Studios on Sunday (October 7) in Culver City, Calif. 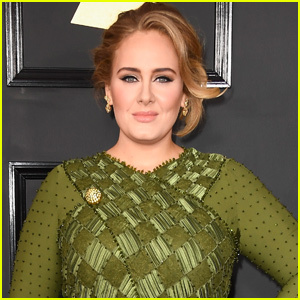 The 48-year-old actress and Ken, 49, were joined at the event by their cast mates Madison Iseman, Jeremy Ray Taylor and Caleel Harris, as well as the film’s director Ari Sandel and producer Deborah Forte. We’re obsessed with Joey King‘s pleather look at the premiere of her new movie Summer ’03. The 19-year-old Slender Man actress hit the blue carpet at the event held at the Vista Theatre on Monday (September 24) in Los Angeles. 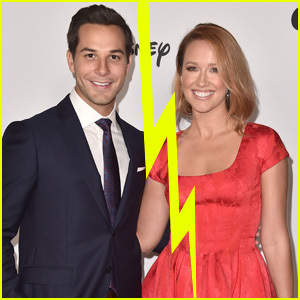 Joey‘s newly engaged sister Hunter King was also there to show her support, along with Pitch Perfect‘s Brittany Snow and Anna Camp, Madison Iseman, and Kathryn Gallagher. FYI: Joey is wearing Giamba with Giuseppe Zanotti sandals. Anna is wearing Ted Baker London. Brittany is wearing Schutz shoes. Madison is wearing a Faithfull The Brand crop top and pants. Shawn Mendes sings for some of his biggest fans at a special Spotify event! The 19-year-old “In My Blood” singer put on the show in a private garden on Thursday (July 19) in Beverly Hills, Calif. It was held to celebrate his self-titled album. 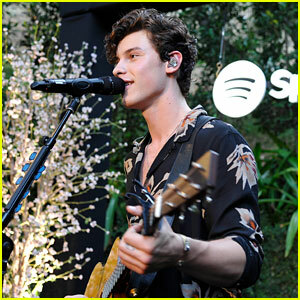 Shawn donned a floral button-up shirt and a silver necklace as he showed off his vocals and guitar-playing skills for the crowd. Among the fans in attendance were YouTuber Alisha Marie, Jumanji: Welcome to the Jungle‘s Madison Iseman, and singer Spencer Sutherland. You can watch videos from Shawn‘s performance here and here. FYI: Shawn is wearing an AllSaints shirt.